These are two video tutorials to help you play “Twinkle twinkle little star” on the piano. The first one (“Easy Piano Tutorial”), is quite slow, but the second one (Slow) is… even slower, so pick the one that suits you best. “Twinkle, Twinkle, Little Star”, one of the most popular nursery rhymes and lullabies for babies, is based on the French melody “Ah! vous dirai-je, Maman“. The lyrics are adapted from Jane’s Taylor poem “The Star”. On this page you can find Notes, Chords and Activities for the song, and a Printable PDF for free Download. If you would like to watch and sing this children’s song with vocals, click here for the sing-along version. To save this music sheet to your computer, right click and choose “Save Image As…”. 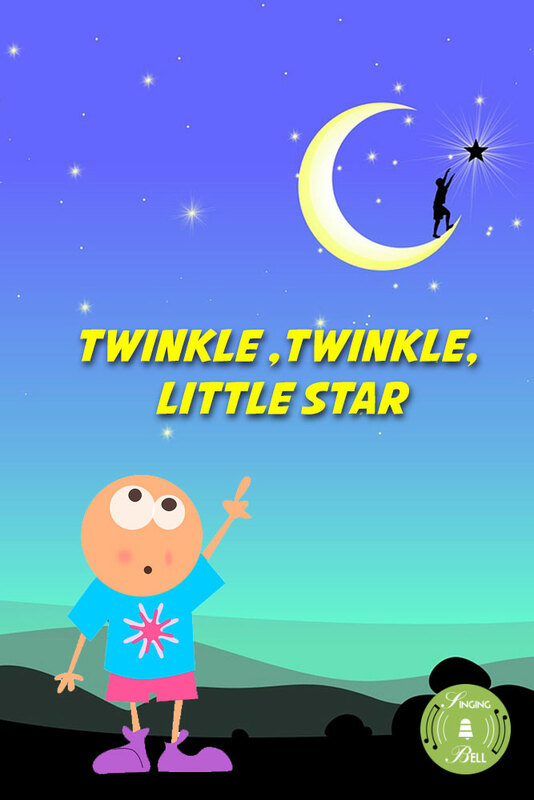 To download a ready-to-print PDF of “Twinkle, Twinkle, Little Star” for music activities with a music sheet, lyrics and a drawing for kids to paint, right click (or tap and hold, on mobile devices) on the following link, then choose “Save link as…”.